Inspired by professional motor racing, the TAG Heuer Carrera watch was born in 1963. This model was created in honor of the famous Carrera Panamericana auto race. The contemporary sports watch has intertwined both fashion and function, capturing both professional and non-professional drivers alike. These good-looking watches feature a classic, yet contemporary, feel. Inspired by the grueling Carrera Panamericana auto race, this sporty wristwatch collection appeals to everyday commuters as much as it does to professional drivers. The Carrera is waterproof to 100 meters, highly vibration resistant, and durable. All those qualities are required for a race as brutal as the Carrera Panamericana, which inspired these watches. Although some Carrera watches have a vintage facade, inside they are all about modern functionality. Others reflect that modernity on the outside as well. Unlike most other luxury watches, you can purchase a TAG Heuer Carrera with a tourbillon for a little over $10,000. Compare that to the $50,000 and up charged by other brands. TAG Heuer Carrera watches for sale at WatchShopping.com are priced from just over $1,000 to the mid-12Ks for a chronograph with tourbillon. The Carrera collection may be on the lower end of the price scale for luxury watch brands, but these timepieces are still a worthwhile investment. In fact, they hold the #5 slot on our list of watches that hold their value extremely well. Elvis Presley, Chris Hemsworth, and Leonardo DiCaprio have all sported a TAG Heuer watch. Shouldn't you? Since 1963, race car drivers have praised TAG Heuer Carrera watches for their timekeeping ability and sporty good looks. The Carrera watch's connection with racing is so strong that car maker Aston Martin has paired with the watchmaker to promote a £295,000 limited-edition supercar. That's right, if you purchase one of these racy vehicles, you receive a TAG Heuer Carrera watch for free. Aston Martin vice president & chief creative officer, Marek Reichman, explains: "Both brands understand the importance of meticulous craftsmanship and creating beautifully designed and engineered products and the (car) reflects those values beautifully." Even if you aren’t looking to purchase a new luxury vehicle, you can still buy TAG Heuer Carrera watches at great prices from WatchShopping.com. Why Buy TAG Heuer Carrera at Watchshopping.com? At WatchShopping.com we carry only the best brands of watches and the most popular collections, including TAG Heuer's Carrera. With a selection as broad as ours, you're sure to find a watch from our Carrera collection that suits you perfectly. Like every watch we sell, your Carrera watch is guaranteed to be authentic and in proper working order when you receive it. 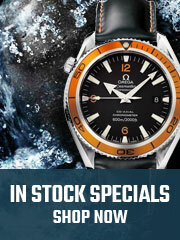 WatchShopping.com is also proud to be an authorized seller for every brand we carry. 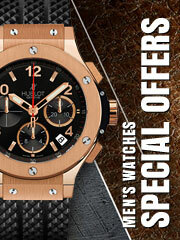 Those are just some of the reasons to trust WatchShopping.com for your next luxury watch.